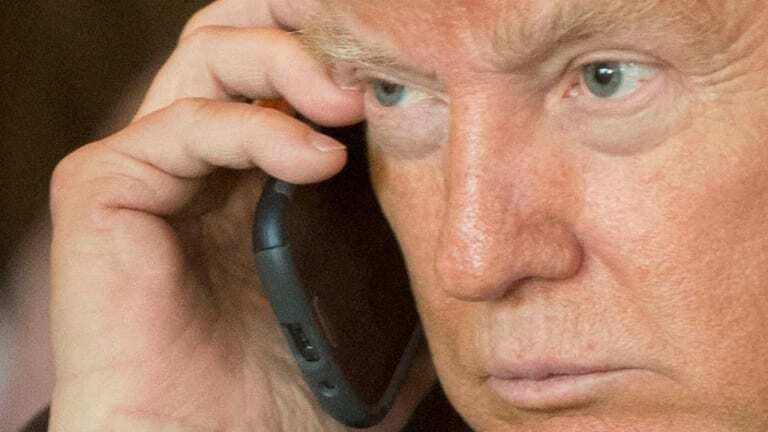 If Trump wanted recordings of his conversations with Comey or whomever else, all he needed to have done was to use the voice memo feature on his (still unsecured?) Android phone, or the equivalent on a staffer's iPhone. The general reaction throughout cable news and the political internet was basically case closed -- Trump confessed he doesn&apos;t have tapes, so it&apos;s time to move along to other concerns. But at the risk of sounding conspiratorial, I can&apos;t help but to ask: Why are we taking Trump&apos;s word for it? Why are we accepting this response as factual? Has Trump given us any reason to believe his screechy pronouncements? He&apos;s a pathological liar who exists in the eternal now. He doesn&apos;t care whether his remarks make logical sense much less are truthful. 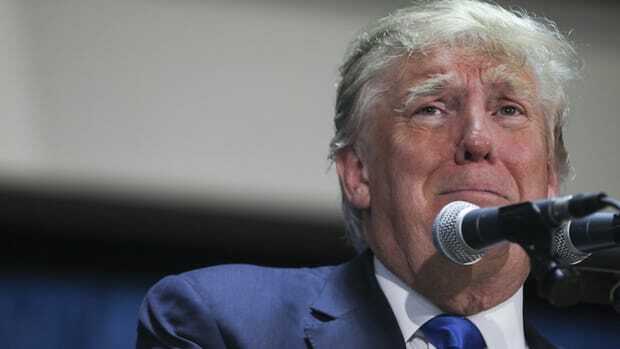 All he cares about is extricating himself from the Trump-Russia scandal by any means possible, including obvious lies, abuse of power, witness intimidation and obstruction of justice. 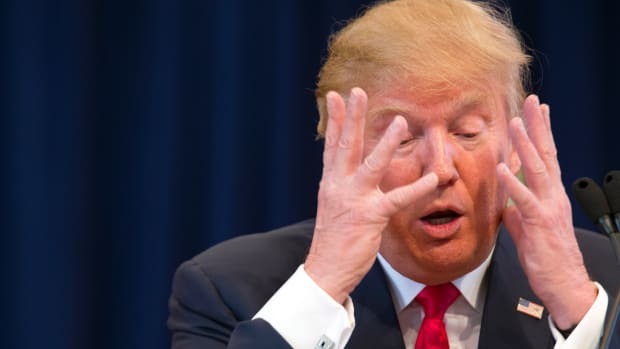 In fact, I wouldn&apos;t be shocked in the slightest if destruction of evidence was added to the list of Trump crimes, specifically with regards to the tapes. When Trump first tweeted the possibility of "tapes" back in May, he might&apos;ve also been lying. Or not. 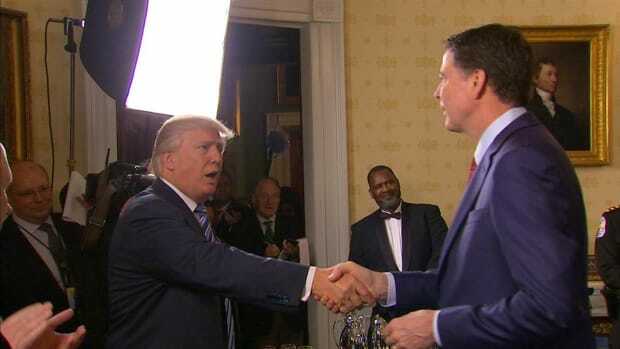 But given that he blurted the existence of possible evidence in an ongoing series of investigations, including a criminal investigation by the special counsel into possible obstruction of justice, it would seem as if the pursuit of such evidence would be germane to the investigation, wouldn&apos;t it? Of course it is. The question of "tapes," however, has been sidetracked by two things. First, as I wrote, there&apos;s the inexplicable acceptance of Trump&apos;s tweets about not having recordings, which seems awfully trusting given his serial lying. Second, there seems to be a common misconception about the idea of tapes, assuming an elaborate Nixonian voice-activated recording system in the White House. Given modern technology, there&apos;s really no need for there to be a hard-wired recording system to record private meetings. 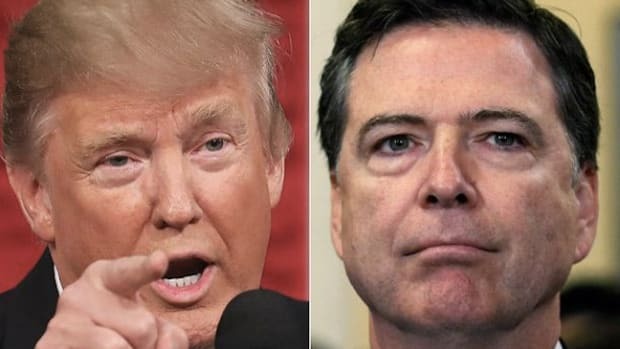 If Trump wanted recordings of his conversations with Comey or whomever else, all he needed to have done was to use the voice memo feature on his (still unsecured?) Android phone, or the equivalent on a staffer&apos;s iPhone. Or he could&apos;ve used a digital voice recorder. Really, any handheld device in existence today has the capability to record digital sound files -- digital sound files that are easily deleted with a single touch-screen command. The upshot here is that, no, there probably aren&apos;t literal "tapes." There might not even be digital files any more, given how easy it is to delete audio files from a handheld device. That leaves one bit of evidence still in existence: the devices themselves. 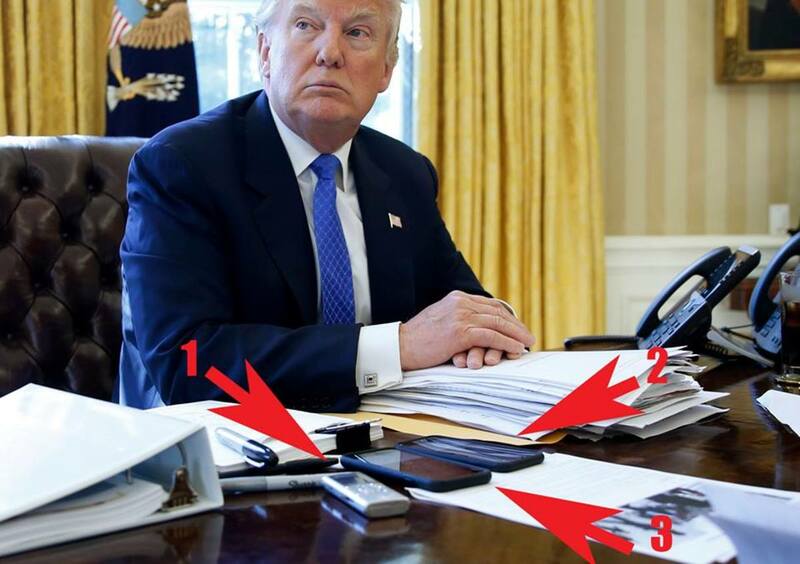 Here&apos;s a photo of Trump sitting behind the Resolute Desk in the Oval Office, with not one but three handheld devices including what appears to be an Olympus voice recorder and two phones, one of which is clearly an iPhone with the voice memo screen showing (#3 below). From what I&apos;ve been able to determine, the photo was likely taken during an interview with Associated Press reporter Julie Pace back in April. I&apos;m not sure why Pace would need three devices to record the interview, but sure. Another photo shows a fourth device (here). 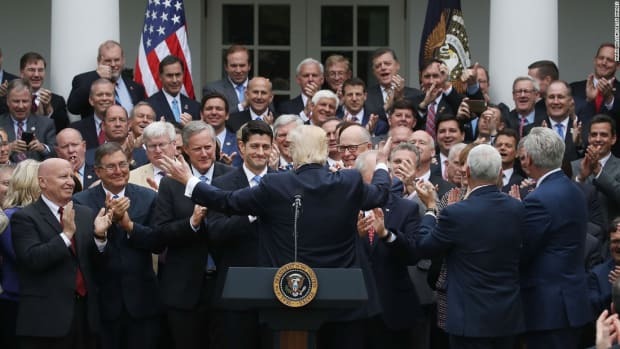 Regardless, this is all to illustrate that Trump is accustomed to having recording devices near by, and that he has access to his own recording device -- his Android phone, for instance. It&apos;s also fair to assume that Steve Bannon, Reince Priebus, Stephen Miller or other members of Trump&apos;s inner circle have devices with voice-recording apps. If Trump made any recordings, they&apos;d most likely be on a device that Trump or his closest staffers have access to. So, why aren&apos;t congressional investigators and the special counsel, not to mention the FBI, subpoenaing the devices themselves? We don&apos;t know for sure whether they have, but if they haven&apos;t, they should. From what I understand about digital forensics, it&apos;s entirely possible to recover deleted files from any hard-drive. 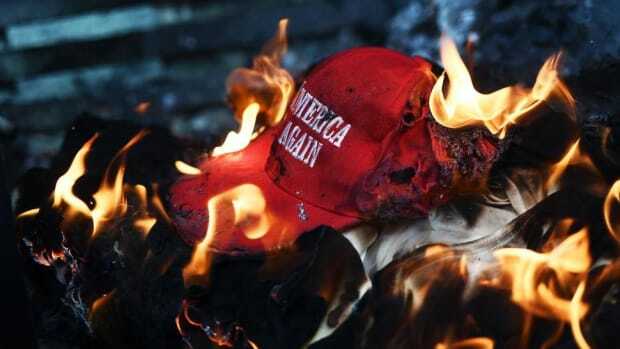 Even if investigators only find partial remnants of files on the drives, and if the time stamps on those files show any recordings post-January 20, it&apos;ll prove that recordings were deleted during Trump&apos;s time in office, which, at the very, very least would be a violation of the Presidential Records Act and, yes, possible destruction of evidence. The bottom line here is to get those devices and ignore any grandiose visions of a sophisticated recording system inside the White House. If the devices show nothing, good for Trump. But if there&apos;s any evidence of secret chats between Trump and whomever regarding the Russian attack, we deserve to know about it -- and justice must be done.